Firefly Music Festival single-day tickets are on sale! Check out ticket options in the ticket section below! The Firefly lineup is out! Panic! At The Disco, Travis Scott and Post Malone headline! Tyler the Creator, Kygo, Vampire Weekend, Zedd, Death Cab For Cutie and DJ Snake also top the lineup! 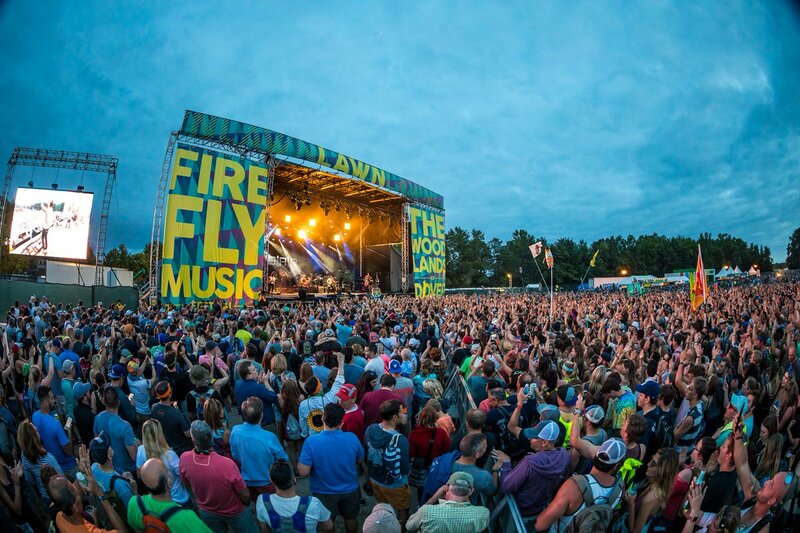 Firefly Music Festival 2019 is set in lush wooded landscapes on the east coast in Delaware, featuring a lineup of indie rock, hip-hop, electronic music and EDM, indie pop and more over four days at Dover International Speedway! Thursday Night Pre-Parties include Louis The Child, Gryffin (DJ Set), Saint Motel, Ripe, Emo Nite and more! Attractions at Firefly Music Festival include The Brewery for Firefly Ale & craft beer, The Thicket to dance in the Silent Disco, The Nook to rejuvenate and chill -- you can even use your hammock. Use The Pathway to go from stage to stage or experience the woods, Camp Riunite lets you chill out with a glass of wine, and Malibu Beach House has cocktails. The official Firefly Festival dates dates are June 21 - 23. 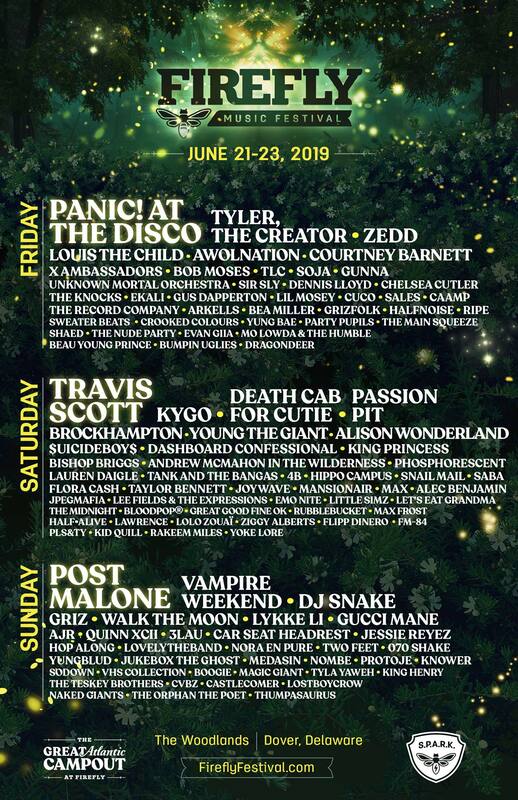 The Firefly Music Festival 2019 lineup and Firefly Music Festival 2019 tickets are below! 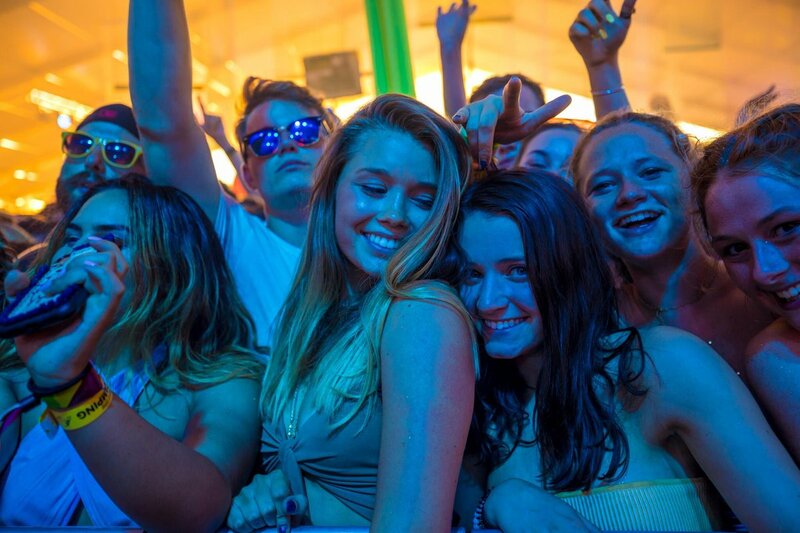 Check out Kygo, Zedd, DJ SNAKE, GRiZ, Alison Wonderland and more this year at Firefly Music Festival! 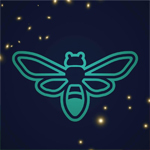 The Firefly Music Festival schedule will be posted here once it's announced. 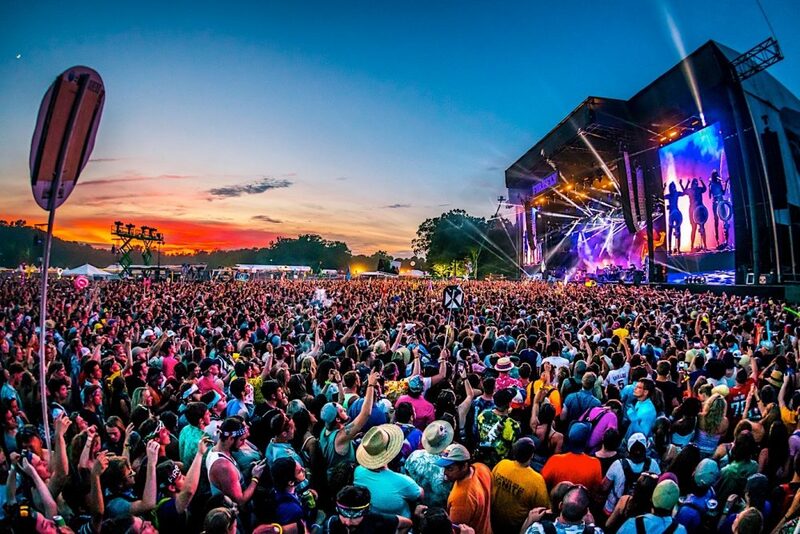 Firefly Music Festival tickets are on sale! Single-day tickets are now available! Single-day options include General Admission and VIP; Weekend tickets come in General Admission, VIP, Super VIP and Super Duper VIP. The Firefly Music Festival lineup!